How the ship will look when it is completed. 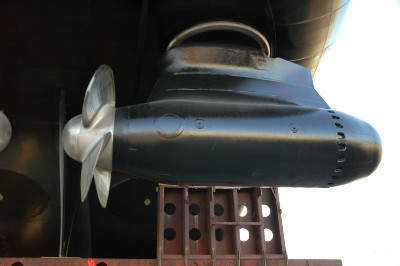 The ship will be likely to use azipod thrusters. MSC facilities will be top quality. 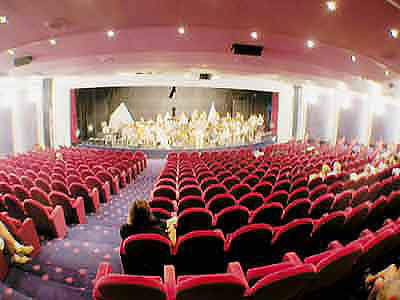 The ship will have its own large theatre. The state rooms will be contemporary and luxurious. The MSC Serenata is one of two massive new post-Panamax vessels ordered by Mediterranean Shipping Cruises (MSC), which is the largest independent Italian cruise line, from Alstom Marine (Chantier de l’Atlantique) (now 75% owned by Aker Yards) in Saint-Nazaire for delivery in June 2008 and March 2009. These two new cruise ships will be called the MSC Fantasia (June 2008) and the MSC Serenata (March 2009) and will both be conducting Mediterranean cruises for the European market. The two new ships are the MSC line’s first post Panamax-sized vessels. The keel for Fantasia was laid in August 2006 and the keel will be laid for Serenata in mid-2007. Both Fantasia and Serenata are being constructed for $550m each. These two new ships will increase the fleet to a total of 12 ships and will be the largest ever cruise ships built for an Italian shipping company. Details have been announced about the three-deck VIP areas, which will be part of the design onboard both the MSC Fantasia and MSC Serenata. These areas have been designed to operate in a similar fashion to VIP executive floors in hotels with butler service. Only those passengers staying in the area will be able to access the VIP level from lifts and stairs. They will have their own exclusive restaurants, spas, pools, sun deck, shops, entertainment and service staff. 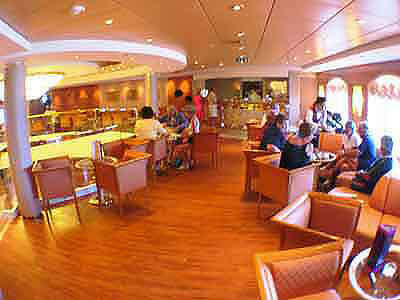 These passengers will, however, also have full access to all other areas of the ship. MSC Cruises has said it does not want to recreate a two-class system onboard as it would cause friction, but it wants to provide a premium niche within its existing product. The MSC Serenata will have a displacement of 133,500t. There will be 1,650 cabins (1,260 with balconies). The ship will be able to host 3,300 passengers (double occupancy) and will use a crew of 1,313. The vessel will be 1,092ft (333m) long with a beam of 124.67ft (38m). The outside cabin ratio, which is already high at 80%, is even more remarkable when realised that nearly all of those outside cabins come with private verandas (this means that 95% of the outside staterooms will have balconies). 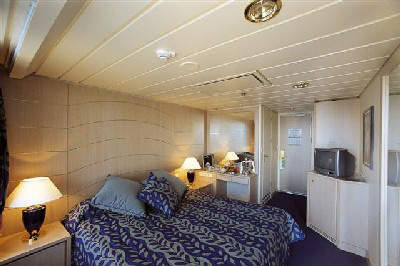 Average cabins will have a floor space of 215ft². Cruising speed of the Serenata will be 23 knots. Serenata will offer two-class cruising via the Happy Island area concept they have developed, in which suites are grouped around a common concierge, lounge, pool and elevator. The ships will feature several restaurants, more than 21,000ft² of spa facilities, and a magrodome for all-weather deck activities. There will be in excess of 250,000ft² of public space offering a large choice of facilities for entertainment and activities. There will be at least five restaurants (L’Ibiscus, Villa Borghese, La Piazzetta, Four Seasons, Shanghai Chinese Restaurant), ten bars (two of which will be open-air) and three meeting and conference rooms. Planning of the public areas has been assigned to Studio De Jorio Design International. In March 2006 APC Power Conversion (Marine Division) was awarded the propulsion system order for both Fantasia and Serenata. Both ships will be fitted with APC’s electric propulsion systems, which consist of two synchronous motors, 20.2MW each, supplied through synchro-converters. APC’s remit will also include the propulsion transformers, advanced digital propulsion control and a remote control system. MSC will then have eight cruise liners fitted with APC Power Conversion’s electric propulsion systems.